“We didn’t believe it was straight line winds because the 25-foot pine tree in our front yard was bending back and forth,” says Westhoff. “Little did we know 29 power lines in front of our development were being broken off by those winds. “To our joy and surprise, the new DaVinci Roofscapes synthetic shake roof, installed in December of 2014 by Heiland Roofing, had only one end cap gone from the winds. Many of our development neighbors had major shingle loss and some had structural roof damage. 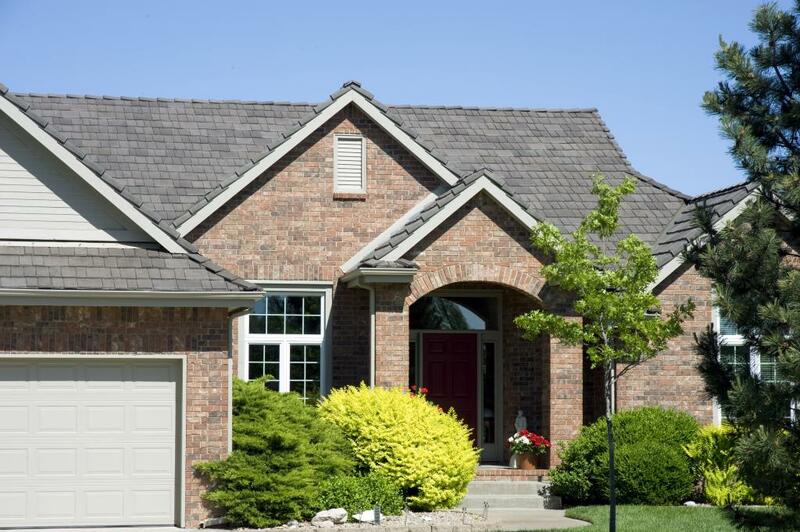 “Within the last year our development added DaVinci as an approved shingle. Thanks goodness. Prior that they had only allowed wood cedar shakes, tile or concrete shingles. Most, if not all, of our neighbor’s roofs consisted of these materials. Our DaVinci shingles survived the storm and were perfect except for one! “We had replaced a 15-year old concrete shingle roof after years of leaking problems, and were we ever glad! We have a beautiful roof, but more importantly we have peace of mind. Learn more about the luxury roofs installed by Heiland Roofing at Featured Project of the Year – Heiland Roofing & Exteriors.